In the northern kingdom of Brevoy, dueling is more than a fighting style or even an art form—it's a way of life. The nobles of this land consider maintaining one's honor as important as feeding one's family. Among the most highly respected duelists in this nation are the Aldori swordlords, who take their name after a man once known as Baron Sirian First. Long before Issia and Rostland's annexation by the forces of Choral the Conqueror, Sirian fled the country, shamed by his defeat in a duel with a bandit lord. He returned several years later as Baron Aldori, and publicly defeated his previous opponent as well as thousands more challengers, quickly becoming known throughout the land as the “Sword Baron.” It was with this prestige and renown that Sirian established the Aldori school of sword fighting, teaching his art to dedicated pupils who proved themselves worthy of the name. Aldori swordlords are highly talented melee combatants, and while their true mastery shows itself in dueling situations or whenever flashy combat is called for, they can still carry their weight in more conventional battles. Many of an Aldori swordlord's abilities rely or build upon existing rules for duels. This prestige class also works well in conjunction with the Aldori swordlord fighter archetype. To qualify to become an Aldori swordlord, a character must fulfill all of the following criteria. Feats: Dazzling Display, Exotic Weapon Proficiency (Aldori dueling sword), Weapon Finesse, Weapon Focus (Aldori dueling sword). The Aldori swordlord's class skills (and the key ability for each skill) are Acrobatics (Dex), Bluff (Cha), Diplomacy (Cha), Intimidate (Cha), Knowledge (nobility) (Int), Perform (Cha), and Sense Motive (Wis). The following are class features of the Aldori swordlord prestige class. Unless stated otherwise, the following benefits only apply when a swordlord is wielding an Aldori dueling sword and carrying nothing in his other hand. Weapon and Armor Proficiency: An Aldori swordlord gains no additional weapon or armor proficiencies. *Editor's note: The Aldori Dueling Mastery feat has Quick Draw as a prerequisite, but Quick Draw is not a prerequisite of entry for this prestige class. This is an error, as clarified by one of the developers, Patrick Renie. GMs are encouraged to treat the text of this ability as follows: "An Aldori swordlord gains Aldori Dueling Mastery as a bonus feat, even if he does not meet its prerequisites." An Aldori swordlord can add his Dexterity bonus (if any) on damage rolls made with an Aldori dueling sword instead of his Strength bonus. This bonus on damage rolls applies whether the swordlord is wielding an Aldori dueling sword one-handed or two-handed, though the swordlord does not apply 1-1/2 times his Dexterity bonus on damage rolls while fighting two-handed. An Aldori swordlord cannot use this ability if he is wielding a shield or an off-hand weapon, including armor spikes, unarmed strikes, or natural weapons. At 2nd level, an Aldori swordlord adds a bonus equal to 1/2 his class level on Intimidate checks made while using Dazzling Display with an Aldori dueling sword. He also gains a +1 competence bonus on these Intimidate checks for each of the following feats he possesses with the Aldori dueling sword: Greater Weapon Focus, Greater Weapon Specialization, Improved Critical, Weapon Focus, Weapon Specialization. When involved in a duel, an Aldori swordlord's mastery of elaborate strokes and stances grants a bonus equal to 1/2 his class level on performance combat checks. These tricks are not merely for show, however, and are of great help in countering an enemy during a duel, granting a bonus equal to 1/2 his class level on rolls to make a dueling parry or use dueling resolve. At 3rd level, an Aldori swordlord gains a +1 bonus to AC when making a full attack with an Aldori dueling sword. This AC bonus increases by +1 for every four levels after 3rd. If an Aldori swordlord is also a fighter with the Aldori swordlord fighter archetype, levels in this class stack with his fighter levels to determine the AC bonus from this ability. At 4th level, an Aldori swordlord learns to adapt his fighting style to counter his enemy's strengths. 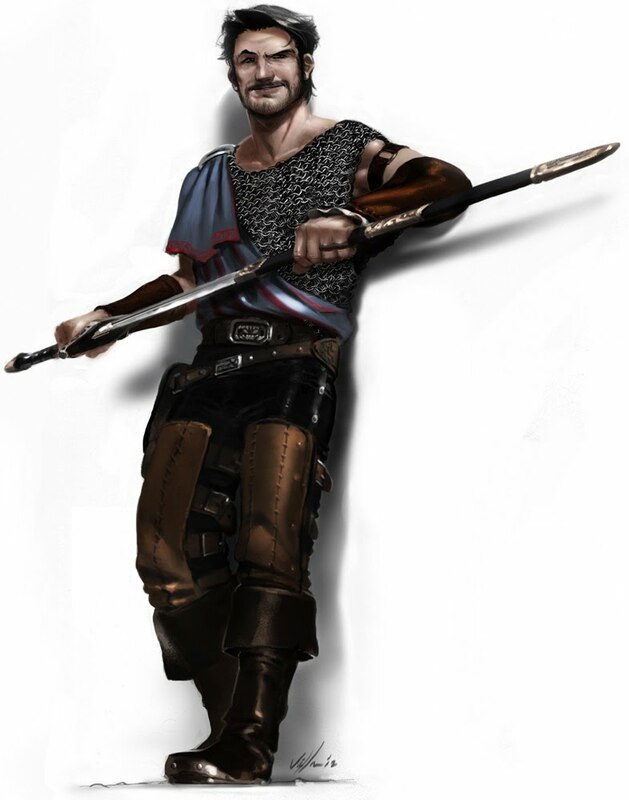 An Aldori swordlord reduces the attack roll penalty for fighting defensively and/or using Combat Expertise by 1 at 4th level, increasing to 2 at 8th level. In addition, after an Aldori swordlord uses his Aldori dueling sword to attack a creature he attacked during the previous round, as a swift action he can attempt a Sense Motive check (with a DC equal to 10 + the opponent's base attack bonus). If the check is successful, the swordlord can choose to gain a +2 circumstance bonus either on attack rolls or to AC against that creature until the beginning of his next turn. At 5th level, an Aldori swordlord can make an Intimidate check to demoralize his target as a swift action after he confirms a critical hit or succeeds at a disarm, reposition, or sunder combat maneuver with an Aldori dueling sword. If his target is already shaken, he can attempt an Intimidate check to demoralize as a swift action after any successful melee attack or combat maneuver. If this check is successful, any morale bonuses the target possesses are suppressed for a number of rounds equal to the Aldori swordlord's class level. Suppressed effects are not dispelled, and resume after this time elapses if their duration has not expired. Suppressed morale bonuses include those gained from a barbarian's rage ability; however, this ability does not actually end rage or suppress any other effects of rage or rage powers that do not provide morale bonuses. At 6th level, when wielding an Aldori dueling sword, an Aldori swordlord can use an immediate action to try deflecting a melee critical hit targeting him, reducing its damage to that of a normal hit, with a 25% chance of success. This does not stack with the fortification special ability of magical armor or similar effects. At 7th level, an Aldori swordlord with at least one free hand is not denied his Dexterity bonus when making Acrobatics or Climb checks. In addition, if he stands from prone he does not provoke attacks of opportunity from any creatures he hit while he was prone earlier on the same turn. At 9th level, an Aldori swordlord's saving slash has a 50% chance of reducing a melee critical hit to a normal hit. In addition, he can attempt a saving slash against a ranged critical hit, including those by rays and other ranged touch effects, with a 25% chance of success. At 10th level, an Aldori swordlord who successfully uses shatter confidence also suppresses any competence or insight bonuses the target possesses.